Spring has finally arrived! 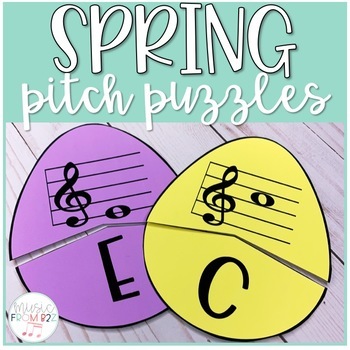 These spring-themed pitch puzzles are a great way to reinforce treble and bass clef learning in your classroom. Students match the pitch on the staff to its corresponding letter. Puzzles are included in color and black and white.